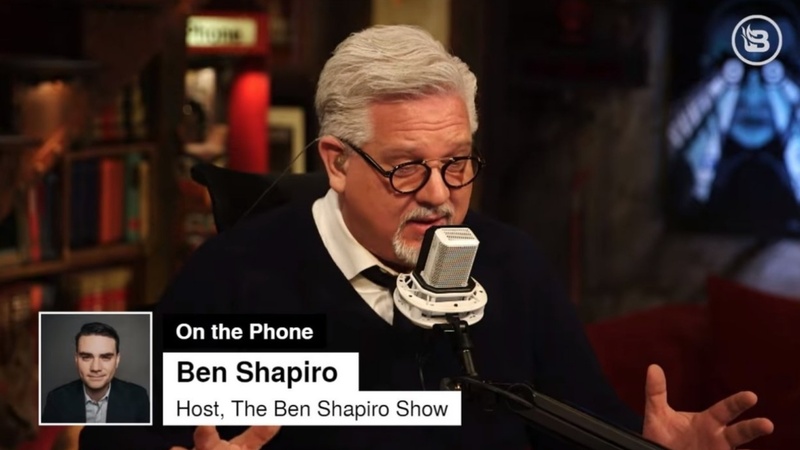 On Wednesday's radio program, Daily Wire editor-in-chief Ben Shapiro joined Glenn Beck to discuss Ben's new book "The Right Side of History: How Reason and Moral Purpose Made the West Great," in which he addresses what he calls a crisis of meaning in today's Western civilization. Asked by Glenn what inspired him to write the book, Ben answered, "You look around and you go, wait a second, everybody is living in the most splendid sort of prosperity in the history of mankind. People are living to record ages. People are living in the freest society where they're allowed to do pretty much anything they want, so long as they don't punch somebody else in the face, and yet we are all really pissed at each other. "I started to wonder why is it that everybody seems so unhappy," he continued. "Why are suicide rates going up? Why are we having this opioid epidemic? Why is everybody so unhappy in what should be the happiest time? "And not just that. You would think that we are in the worst racial time in history ... and that we are divided by class in a way that we've never been divided before," he added. "None of this happens to be true. We happen to live in the most racially equal time in the history of mankind. If you could be born into any time, this would be the time that you would choose. And so the question becomes, why are we so angry? And I think that the real reason is because anger fills something that we are missing." Ben went on to explain that the missing "something" in our civilization is the common set of values we once shared. He touched on the historic basis of Judeo-Christian values in Western civilization and emphasized how those principles laid the foundation for morality and reason. As society moves away from those fundamental values, we lose our sense of purpose. "There's a God-shaped hole in our hearts and we're filling it with anger," Ben said. "We feel a sense of meaning and a sense of belonging by getting angry at other groups ... it's really ugly and it's really a problem."